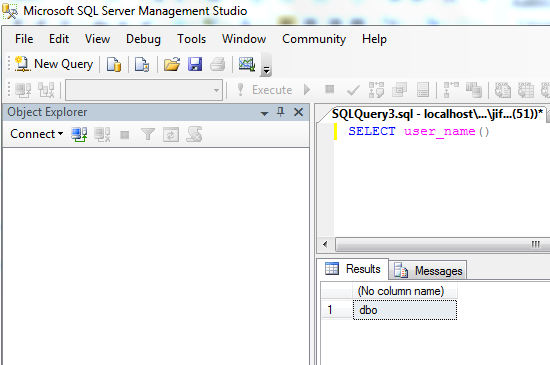 First you should try to login to the server as a domain admin or a local admin and connect to the database with SQL Server Management Studio (SSMA) using Windows Authentication. If this is not working then just continue reading. If you (or someone else) have disabled the possibility of logging in as a local or domain admin (which is a part of best practice) you will have to enable an SA account, or reset the password of it. You can enable accounts, reset passwords and add new sysadmin accounts in SQL Server 2005 and SQL Server 2008, the only catch is that you have to do it in the single user mode which means that if it is used in production you have to do it when the database can be down for about 10 minutes. Note: If the database is used in a production environment I recommend that you do NOT change the password of the SA account unless you are totally sure that no applications are running the database using the SA account. It´s better to add a new account with sysadmin privileges if you don’t want to take the risk. 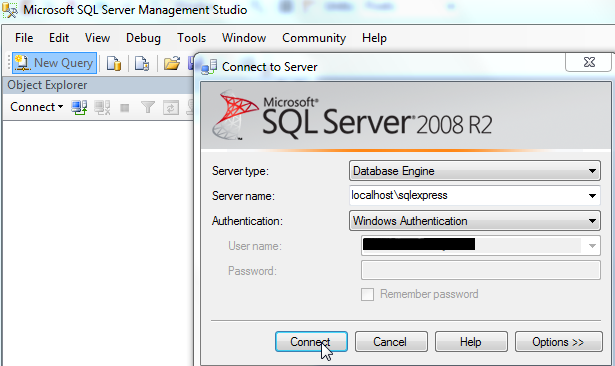 Follow these steps to add a new sysadmin account in SQL Server 2008 express. 1. Logon to the server with Windows domain or local administrator account. 6. In SSMA click the “New Query” button and login to the instance localhostsqlexpress with “Windows Authentication”. — where domainname is the domain you are in. 11. Now you should be able to login with the newly added account in SSMS and from there you can add, remove and reset accounts when the database is online. *NET commands used to start and stop the sql service depend on the installation.